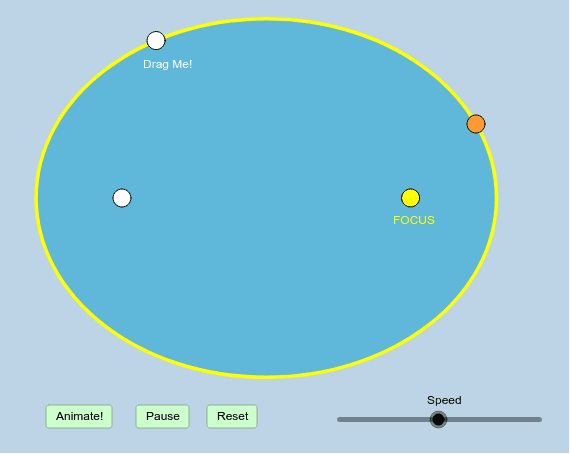 The applet below contains an ellipse with both its foci shown. Feel free to place point P, the orange point, and both foci of the ellipse anywhere you'd like at any time! How would you describe the phenomena you see? Do a little exploratory research on the following topics: Specifically, how are ellipses used in each application? 1) Whispering Galleries 2) Elliptic Lithotripsy (Destroying Kidney Stones) How is the principle illustrated in the applet above "reflected" (no pun intended) in each of these applications?